Waited eons to experience this famed attraction? Then you mustn't head home without trying out an Inle by boat. Examine our Nyaungshwe things to do page to find even more activities in the area. 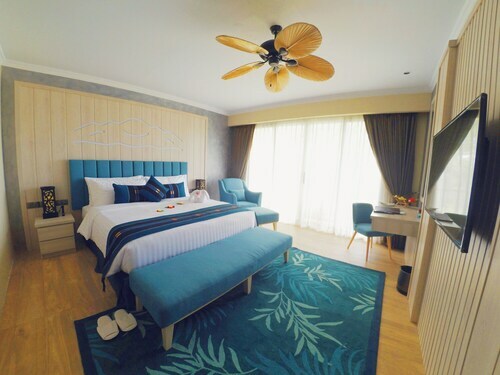 Located in the historical district, this family-friendly hotel is 7.9 mi (12.7 km) from Yadana Manaung Padoda and 8.2 mi (13.2 km) from Mingalar Market. Situated on a lake, this hotel is 0.1 mi (0.1 km) from Inle Lake and within 12 mi (20 km) of Red Mountain Estate Vineyards and Winery and Yadana Manaung Padoda. Nyaungshwe Cultural Museum and Mingalar Market are also within 16 mi (25 km). 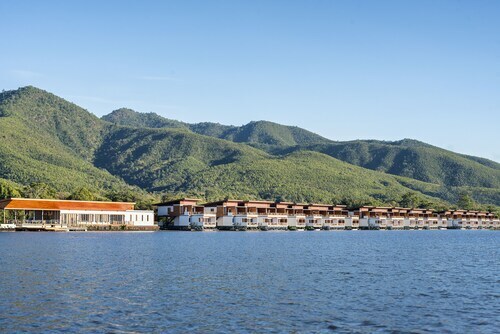 Situated on a lake, this luxury hotel is 0.3 mi (0.5 km) from Inle Lake and within 12 mi (20 km) of Red Mountain Estate Vineyards and Winery and Yadana Manaung Padoda. Nyaungshwe Cultural Museum and Mingalar Market are also within 12 mi (20 km). 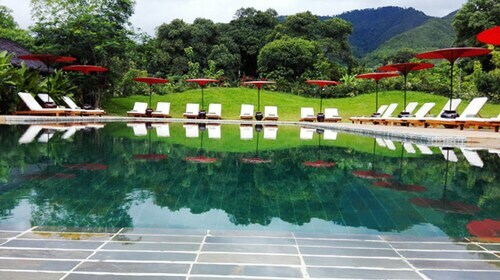 Situated in Nyaungshwe, this luxury resort is 0.1 mi (0.1 km) from Inle Lake and within 9 mi (15 km) of Red Mountain Estate Vineyards and Winery and Yadana Manaung Padoda. Nyaungshwe Cultural Museum and Mingalar Market are also within 9 mi (15 km). Situated on a lake, this spa hotel is 0.1 mi (0.1 km) from Inle Lake and within 9 mi (15 km) of Red Mountain Estate Vineyards and Winery and Nyaungshwe Cultural Museum. Mingalar Market is 9 mi (14.5 km) away. Situated in Nyaungshwe, this spa resort is 0.1 mi (0.1 km) from Inle Lake and within 9 mi (15 km) of Red Mountain Estate Vineyards and Winery and Yadana Manaung Padoda. Nyaungshwe Cultural Museum and Mingalar Market are also within 9 mi (15 km). 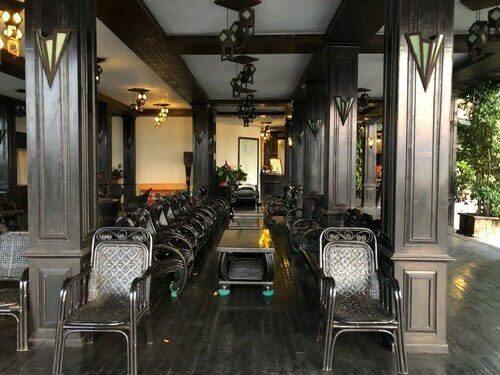 Situated on a lake, this hotel is 0.1 mi (0.1 km) from Inle Lake and within 9 mi (15 km) of Red Mountain Estate Vineyards and Winery and Yadana Manaung Padoda. Nyaungshwe Cultural Museum and Mingalar Market are also within 9 mi (15 km). 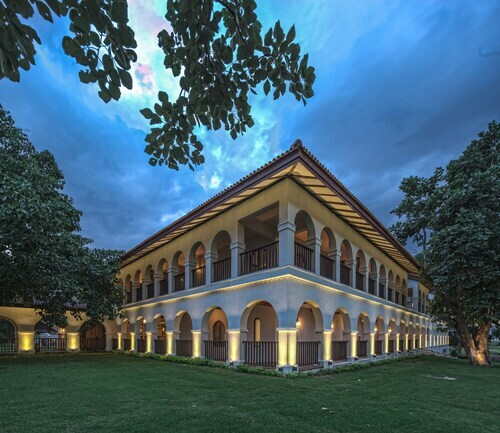 Situated in Nyaungshwe, this luxury hotel is 0.1 mi (0.2 km) from Inle Lake and within 9 mi (15 km) of Red Mountain Estate Vineyards and Winery and Yadana Manaung Padoda. Nyaungshwe Cultural Museum and Mingalar Market are also within 9 mi (15 km).